BROADMEADOWS will become the rugby league capital of Victoria after scoring a $12 million training centre and the home base for Melbourne Storm’s future women’s team. The Rugby League State and Community Centre will host training camps, state league matches, local and touch football competitions, as well as Melbourne Storm community initiatives. 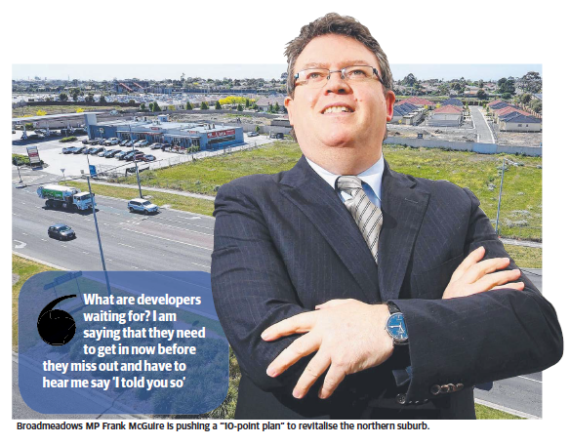 BROADMEADOWS will be reborn under a special State Government-appointed board headed by local MP Frank McGuire. 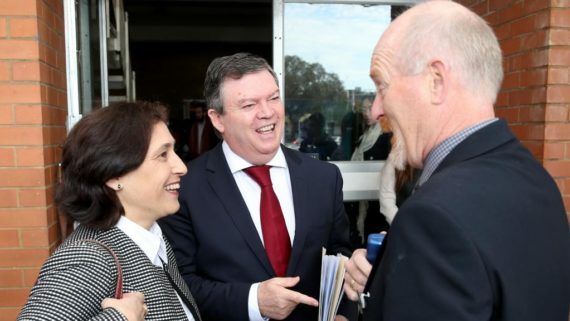 The Broadmeadows Revitalisation Board will advise the government on opportunities and projects capitalising on the suburb’s strengths to attract investment, jobs and training. HUME schoolchildren have paid their respects at a training ground for the nation’s World War I soldiers in the lead up to Anzac Day. Around 300 schoolchildren attended Broadmeadows Labor MP Frank McGuire’s annual Side By Side service at the Maygar Barracks on Thursday. The service has been previously held at local primary schools but was held at the barracks for the first time this year. We need to closely examine optimum distribution of population and immigration. BROADMEADOWS MP Frank McGuire has renewed demands for a halt to the “managed decline” of industrial areas in his electorate through repurposing funds earmarked for the car industry. 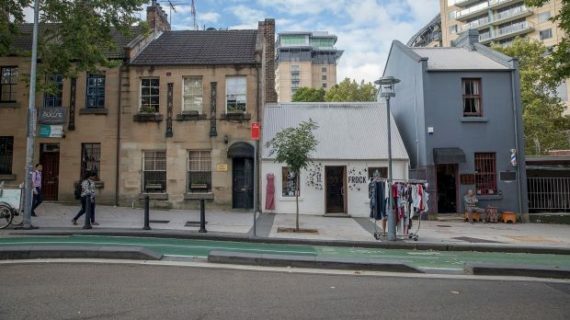 Mr McGuire told Commercial Property his 10-point plan to revitalise the suburb 16km north of the CBD had so far been met with silence from the Federal Government.